Officials say the explosion occurred as someone in the home was mixing pool chemicals. Fortunately, no one was hurt and residents returned a short time later after firefighters ventilated the structure. 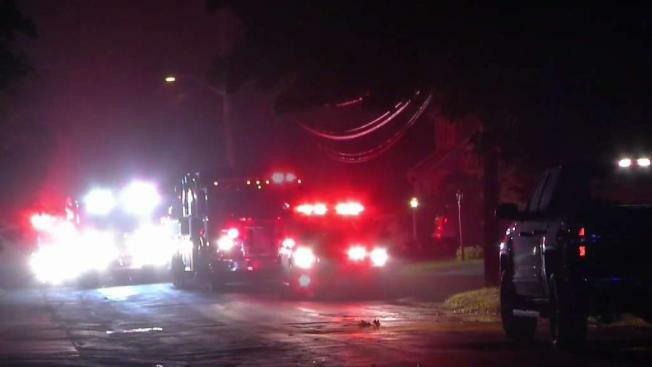 No one was injured Saturday night when mixed pool chemicals exploded at a home on Glen Street in Whitman, Massachusetts. the incident occurred at the home just off of Route 18. The people inside of the home had been mixing pool chemicals, and that led to a small explosion, officials said. It isn't clear what kind of chemicals they were exactly. Hazmat teams were called to the scene and were there for several hours. There were no injuries and there have been no evacuations in the neighborhood, officials said. Officials said Sunday morning that no one was injured and residents returned once the area was ventilated.